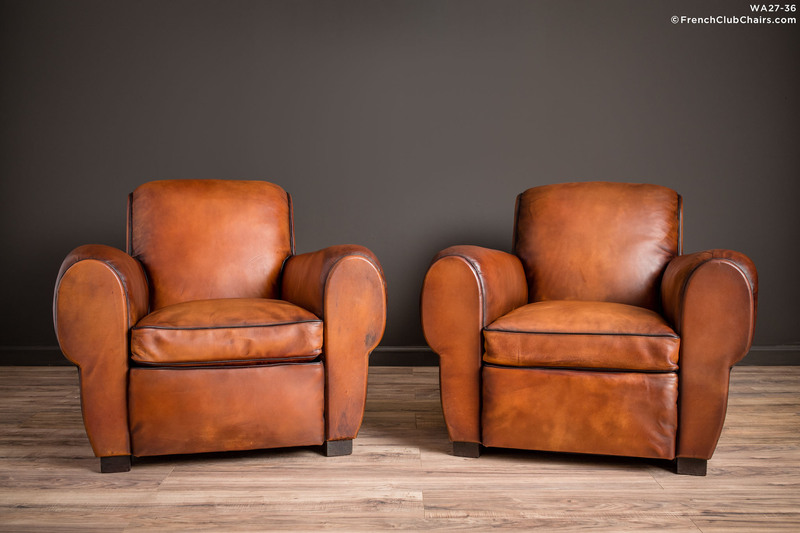 Rollback French leather Club chairs, we can't get enough of them. This pair needed the love the William’s Antiks knows how to provide. Completely restored with our signature French Pyrenees hides, coveted for their suppleness, size and texture. This pair hails from the late 1940s. measurements: depth-38", width-36", height-32", seat depth-22", seat width-18", seat height-15"